The election of Donald Trump raises a lot of questions for the U.S. solar industry. Trump hasn't exactly been supportive of solar energy, but he hasn't made it an explicit target of his ire either. President Trump's impact on the solar industry could come through trade policy, an area where the president has fairly wide latitude to make rules. 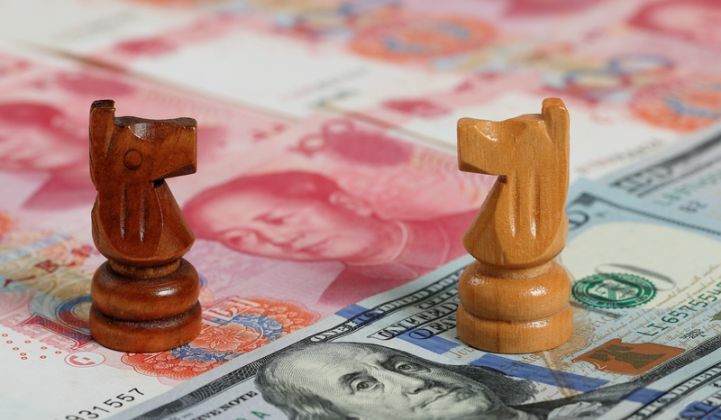 If he labels China a currency manipulator, as he has promised, it would give him wide authority to draw up tariffs on Chinese imports, which he has suggested may be as high as 45 percent -- although a 25 percent across-the-board tariff seems to be a more common proposal. Tariffs that high could have a mixed impact on the economy broadly, and could lead to a trade war between the world's two biggest economies. The booming U.S. solar industry -- heavily reliant on China and other countries in Asia for low-cost supplies -- is caught in the middle of this rhetoric. There are already tariffs on Chinese solar products and materials. And the solar industry has already figured out how to deal with them. Given long-simmering tensions with China over solar, it's likely that tariffs wouldn't have a major impact on the solar industry. But it's worth looking into, assuming Trump decides to provoke China further. When it comes to trade, there's rarely a simple single-order cause and effect. Trade follows something more like the butterfly effect, with broad impacts on the solar industry that would be both positive and negative. Solar manufacturers would certainly like to see additional tariffs on Chinese imports. SolarWorld led previous trade cases against Chinese solar companies, and it's easy to see how U.S. manufacturers Mission Solar, SolarCity and Suniva could see a slight advantage if additional tariffs are placed on competitors' products. The U.S. solar manufacturing industry has been one of the most damaged by low-cost Chinese panels and, in theory, it would see the biggest benefit from tariffs on Chinese imports. But America's manufacturers must still work hard to be competitive. Barry Cinnamon, who owns residential installer Cinnamon Solar, said customers would be willing to pay a few hundred dollars more to buy American-made modules. But he also said the upside for installers pushing domestically made panels is limited. 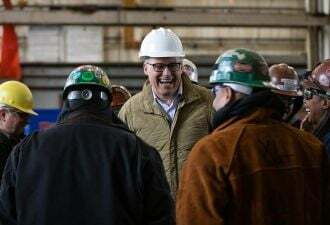 With that in mind, he said he's "not supportive of tariffs on solar modules since they jeopardize approximately 180,000 installation jobs at the expense of 20,000 manufacturing jobs." SolarWorld is the only cell manufacturer in the U.S., so even Mission Solar, SolarCity and Suniva would see higher costs on imported cells if subject to a tariff. If tariffs are put in place on all products from China, there would be a much wider impact to American manufacturing. China is the lowest-cost source of supply for glass and aluminum for module frames, which are some of the biggest costs in module assembly. Then there's junction boxes, inverters, racking, connectors, and other balance-of-system components that come from China and other countries in Asia. The U.S. can't simply flip a switch and start manufacturing these products at scale, especially commodity components like glass or extruded aluminum that are needed in massive quantities. Tariffs on imports from a country like China could give a small boost to U.S. manufacturers, but it would also raise raw material costs for every module manufacturer in the U.S. Growing U.S. solar manufacturing jobs isn't as simple as adding a few tariffs to imports from other countries. The infrastructure to make polysilicon, solar cells, extruded aluminum, junction boxes, glass, and dozens of other components in the U.S. at a cost-effective level simply doesn't exist today. The feasibility of tariffs helping U.S. manufacturers may also be wishful thinking. If the solar industry learned one thing from the tariffs on solar cells and modules put in place a few years ago, it's that suppliers can adapt more quickly than tariffs can. First, manufacturers started tolling modules in places like Taiwan and then they began building plants in countries across Southeast Asia. Some of those decisions were even motivated by a drive to find lower costs than China could offer. For example, labor costs in Vietnam are now lower than in China, changing the calculus about where to build manufacturing plants. That's consistent with manufacturing expansions in Southeast Asian countries other than China. And the newly diverse set of suppliers and countries of manufacturing in the solar industry would likely mute the effects of any trade war, whether you're looking from the lens of a U.S. solar manufacturer or an installer. In other words, a trade war with China alone would have a minimal impact on U.S. solar manufacturing given its supply diversity today. To have a real impact on the solar industry, the Trump administration would have to start a trade war with all of Southeast Asia. And if that happened, the crossfire would hit nearly everything Americans buy -- not just solar -- creating very unpredictable and very unintended consequences for the solar industry. There's one area of the solar market that will see a negative impact in any trade war: Solar installations. Installers who are buying components on the open market will undoubtedly face higher costs. However, the scale of the impact may be different depending on where you sit in the solar industry. For residential systems, the impact of tariffs would be minimal because most costs are very local in nature. According to GTM Research's Solar Market Insight Q4 2016 report, the average cost of a residential solar system was $2.98 per watt in Q3 2016 -- so the impact of a 25 percent tariff on solar modules alone would be fairly small at just 3 percent of the total installation cost. Tariffs on other components like inverters or mounting brackets may raise costs further, however. The impact of tariffs would be more meaningful in the utility-scale sector. A $0.10 per watt increase in a fixed-tilt utility project that costs an average of $1.09 per watt would result in a 9 percent increase in costs. And that's not including any impact from tariffs on inverters, mounting structures, or any other balance-of-system components. This could have a material impact on installers in a low-margin environment. Some solar projects may not pencil out if costs increase by that much. Tariffs would raise costs for companies installing solar at every scale, from residential rooftops to large utility projects, although the scale of the impact would depend on the scope of tariffs. Rising costs could mean less demand for solar energy at every level, which would also mean less work for installers themselves. The Solar Foundation's National Solar Jobs Census for 2015 estimated that 119,931 workers held jobs installing solar, 57 percent of the 208,859 U.S. solar jobs documented by the organization that year. A reduction in solar energy's competitiveness could put those jobs at risk. It's impossible to predict the exact impact of tariffs, given how fast costs change in the solar industry. Solar panel prices fell more than $0.10 per watt in the third quarter of 2016 alone -- so a tariff would likely have to be over 25 percent to make installers really worried. The solar industry of 2017 is diverse enough to handle one-off tariffs without too much adjustment. And if additional tariffs do come (which is still just speculation), the industry has adapted to bigger disruptions before.